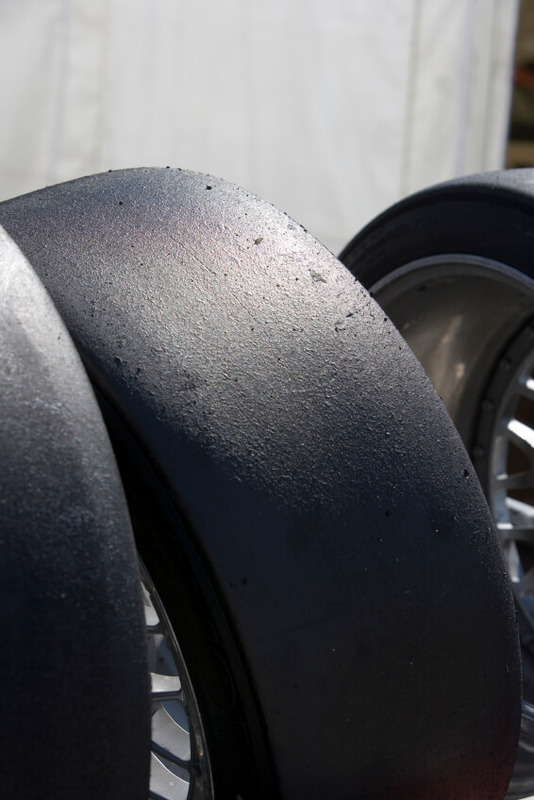 Speed Secret: Build up the tires’ cornering forces slowly. I’m sure you’ve been told to drive smoothly, and “smooth is fast” dozens of times. But why? I think of the way tires grip the track surface like the action of breaking a piece of string. If you hold the ends of a piece of string in each hand and quickly snap them apart, it’s easy to break the string. Try it. However, pull slowly on the ends of a piece of string, and it will take more effort to break it. Tires are like that, too. If you quickly snap the front tires into a turn (jerking the steering wheel to the right, let’s say), they will break loose more easily than if you slowly turn the steering into the corner. Of course, there’s a practical limit to how slowly you can turn into a corner. Turn too slowly and you’ll never make it around the corner! But turn too quickly and your tires will begin to slip sooner. It’s a balance, obviously, which is why driving a car at speed around a track is such an interesting and fun challenge. But if you keep in mind that your goal is to turn the steering wheel as slowly as you can, while getting the car to go where you want it to go, that’s not a bad approach. I’ve gained speed by mentally reminding myself to steer with my feet as much as possible and with the wheel as little as possible, instead of turning the wheel further tapping the brake with the left foot to pull the nose in or a little more gas to straighten the line, without moving the wheel.